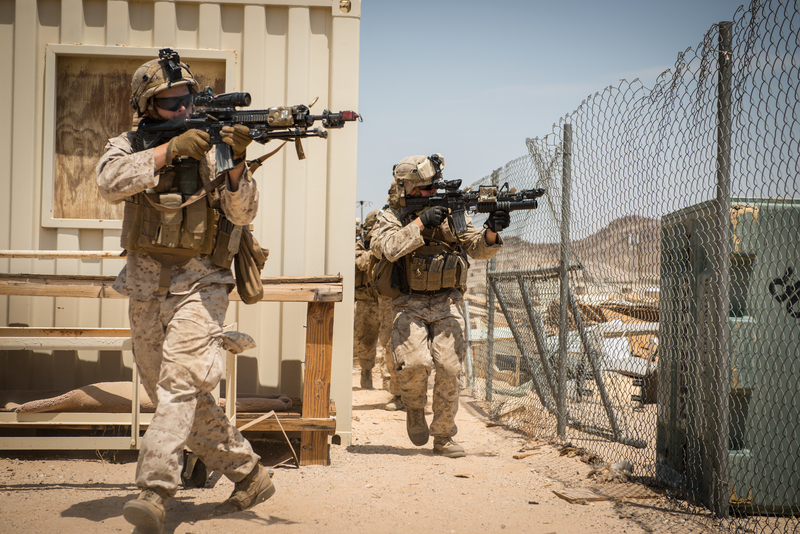 Marines with Kilo company, 3rd Battalion, 5th Marine Regiment, clear buildings of hostile enemies during the Marine Air-Ground Task Force Integrated Experiment (MIX-16) at Marine Corps Air Ground Combat Center Twentynine Palms, Calif., Aug. 1, 2016. The experiment is conducted to test new gear and assess its capabilities for potential future use. US Marine Corps photo. MARINE CORPS BASE QUANTICO, Va. – The Marine Corps today released a new operating concept that updates its 2014 Expeditionary Force 21 to include a renewed emphasis on maneuver warfare, while retaining an emphasis on operations in an urban littoral environment against a technologically sophisticated enemy. The Marine Corps Operational Concept (MOC) begins with the admission that today’s force is not organized, trained and equipped to succeed in a future operating environment where terrains and their populations are complex, technology has proliferated, information is used as a weapon, detecting enemy signatures and managing the Marines’ own signatures is paramount, and the maritime domain is increasingly contested. “Do we need to fix something? Are we broken? … That has nothing to do with it, but we’ve been fighting a counterinsurgency stability fight … since 2004, and we’ve trained, equipped and organized the force to do counterinsurgency and fight an insurgent,” Commandant of the Marine Corps Gen. Robert Neller said today at the Modern Day Marine exposition. In preparation for that future enemy and future fight, the concept calls for a Marine Air-Ground Task Force optimized to “[execute] maneuver warfare through a combined arms approach that embraces information warfare as indispensable for achieving complementary effects across five domains – air, land, sea, space, and cyberspace. The 21st century MAGTF … blends maneuver warfare and combined arms to generate the combat power needed for simultaneity of action in its full range of missions,” according to the concept document, released today. To meet Neller’s vision, the MOC lays out five critical tasks for the service to address to be successful in the future fight. 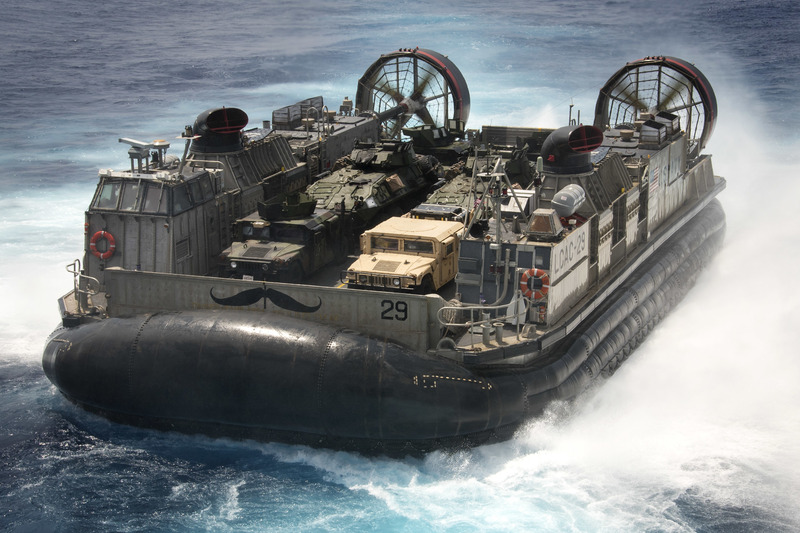 First, the Marine Corps and Navy must integrate the naval force to fight at and from the sea, which includes integrating command and control structures and finding a role for the MAGTF in the Navy’s sea control and power projection missions. Next, the service must evolve the MAGTF, maintaining its powerful Marine Expeditionary Force construct but also setting up smaller units for success in distributed operations. Third, the Marine Corps must master network-hardening and signature emissions management, with mission success and Marine safety on the line in an information and electromagnetic spectrum warfare environment. Next, the service must enhance its ability to maneuver small and large forces, infantry and support forces, through all manner of terrains, and with the logistics in place to sustain those operations. And lastly, the MOC recommends a closer look at the individual Marine – seeking high-quality recruits, investing in training and education to support the MOC’s goals, developing quality leaders at all echelons, and re-prioritizing cultural and language education. Landing craft air cushion (LCAC) 29, assigned to Naval Beach Unit (NBU) 7, disembarks from amphibious assault ship USS Bonhomme Richard (LHD 6) in the Philippine Sea on Sept. 11, 2016. US Navy photo. Marine Corps planners from the Ellis Group, a unit housed within the Marine Corps Warfighting Laboratory that examines naval warfighting challenges helps coordinate exercises and wargames to begin to find solutions, told reporters Tuesday that more than a year of wargaming informed the MOC, which centers on a predicted 2025 operating environment and likely adversaries ranging from guerilla insurgent forces to near-peer and peer militaries. Maj. Jim Geiger, a plans officer in the Ellis Group with an infantry background, said that approach helped slowly identify how current and in-development programs may influence a future fight, as well as make clear what threats the Marine Corps has not yet figured out how to address. Other militaries’ capabilities and commercial off-the-shelf capabilities were also added into the mix to help find quick potential solutions to these gaps. King added that, while the wargames focused on entry operations against a peer or near-peer competitor in an urban littoral environment in the Pacific, other enemies and other environments were tested. Four or five games looked at the embassy reinforcement mission in Africa, where forces had to fly in from long ranges and bring minimal supplies with them – essentially simulating what today’s Special Purpose MAGTF Crisis Response force does. 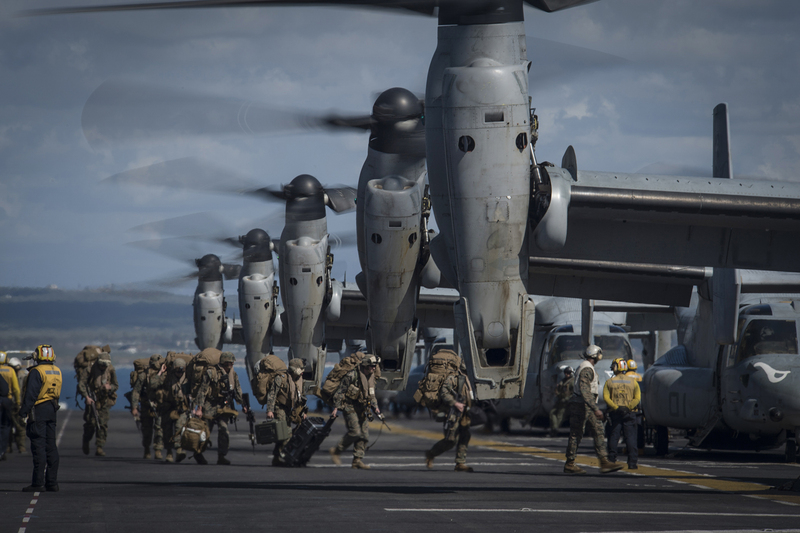 Marines from the 11th Marine Expeditionary Unit (11th MEU) board MV-22 Ospreys attached to Marine Medium Tiltrotor Squadron 163 (Reinforced) as they prepare to launch from the flight deck of the amphibious assault ship USS Makin Island (LHD-8) on Feb. 23, 2015. US Navy Photo. Implementing this concept will not only require acquisition of new systems for the warfighter, King said – recommendations for which are included in a classified version of the concept – but revised training and education for Marines, as well as exercises and wargames that reflect the challenges highlighted in the MOC.